Located in northeast Florida, Jacksonville is a major civilian and military seaport city. It is the largest city by area in the contiguous United States and estimated to be the 12th most populous city in the U.S. It is the financial, cultural, and commercial center of north Florida and is home to two United States navy bases and the port of Jacksonville, Florida’s third largest seaport. This is the third largest military presence in the U.S.
Jacksonville serves as headquarters for a number of insurance, healthcare, banking/financial and logistics companies. It is also home to educational institutions such as the University of North Florida, Jacksonville University and the Florida State College at Jacksonville. 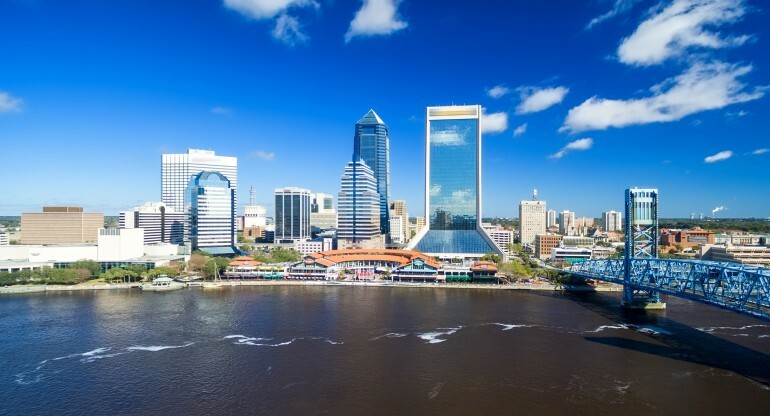 Jacksonville continues to emerge as a major international business center. World Translation Center is pleased to be able to provide solutions for professional document translation services, facilitating communication with educational/research institutions, investors, government and military agencies and major corporate entities. Whatever the requirements of our clients, we have the resources and expertise to deliver top of the line document translation results. We at World Translation Center take pride in the relationships that we have built and continue to build with our clients. We engage the most highly regarded professional translators who have developed different areas of expertise. This ensures that we can assemble the best and most appropriate team for each project that we undertake. We select professional translators who specialize in the required languages and have the background and experience necessary for the material being addressed, be it banking/financial, healthcare, technical, advertising/marketing or general business. Jacksonville has for quite some time been developing as a significant distribution and transportation center. Emerging companies are realizing the potential of Jacksonville and have been locating there in increasing numbers. World Translation Center is able to be of assistance with our ability to provide best quality and timely translation services in a broad combination of virtually any language pair.